Goodreads Reading Challenge 2018 – Let the (LONG) Journey begin! Every January, I enter the Goodreads Reading Challenge and say to myself that this year I’m going to complete it. Well, I think I’ve been doing it for five years now and never, I MEAN NEVER, got to the finish line. But I had enough! So this year you’re going to watch me do it! What’s the Goodreads Reading Challenge? For those of you who don’t know what it is, the Goodreads Reading Challenge makes you challenge yourself on how many books you can read in one year. Visit Goodreads, register or sign in with your social media and start your own challenge! You can set your own goal but don’t pressure yourself too much – you can always reduce the number of books if you still want to complete it but for sure know that you won’t make the mark, or you can update it to a bigger number if you’re nailing it! As you can see, these are the stats of the challenge so far. There are almost three million people participating all over the world and if everyone meets their goal, 155 milion books will be read in 2018! I think this is a fun way to get books out of your shelf because not only you’re confronted with your own laziness – it notifies you how many books you have behind schedule! – and if decided to do so, you’re friends and/or every participant can also view your progression. You have a Friends and Community tabs on your challenge page, where you can see their goals, books, and progression. It seems perfect to me so why do I keep failing? I always have some highs and lows on my reading frequency through the year – there are months where I read like 3 or 4 books, but I easily go 4 months without a single one. This year, as always, I was very committed. And, as always, I read almost nothing. As I saw my goal getting far away from success, I decided that it was enough. Half of the year has gone by and this is a make it work moment! I’m reading Under the Dome by Stephen King since FOREVER! I’m giving Poltergeist (James Kahn) the priority since it’s a smaller book, but I’m swearing here that I will not read anything before finishing this one! It’s not that I wasn’t liking it, it’s just that I watched the tv show before starting the book and as the series progress I lost interest. Also, I don’t know how it got published in other countries but in Portugal, they split the story into two volumes, and I’m only on the first half of the first one! Now, let’s get to the numbers! I’m showing you this print because it is the info you get when you go to my Goodreads profile. But these numbers are wrong, that’s why I’m doing this particular post. The last book you see, it says I’ve read 4 books this year, but the last book on the list – Comer/Beber by Filipe Melo & Juan Cavia I actually read in December 2017 but forget to update it on my profile. When I did it, I’ve already entered the challenge so it counted for the progression. But, for that mistake, I have to surpass the 51 bookmark! So, I’m actually TWENTY-TWO BLOODY BOOKS BEHIND SCHEDULE! This is why I NEED YOU! To make sure I’m fully motivated to this challenge, I’m creating a series and this is where you come in. I’m counting on your feedback to motivate me to finish this because I only have 182 left and there’s a lot of books to reading! Every week I’m going to bring you at least one book review but to make my goal of 50 books, so I’ll be reading at least two books a week! Every month, I’m updating you on my progression, which books I finished or started and other literature related topics! 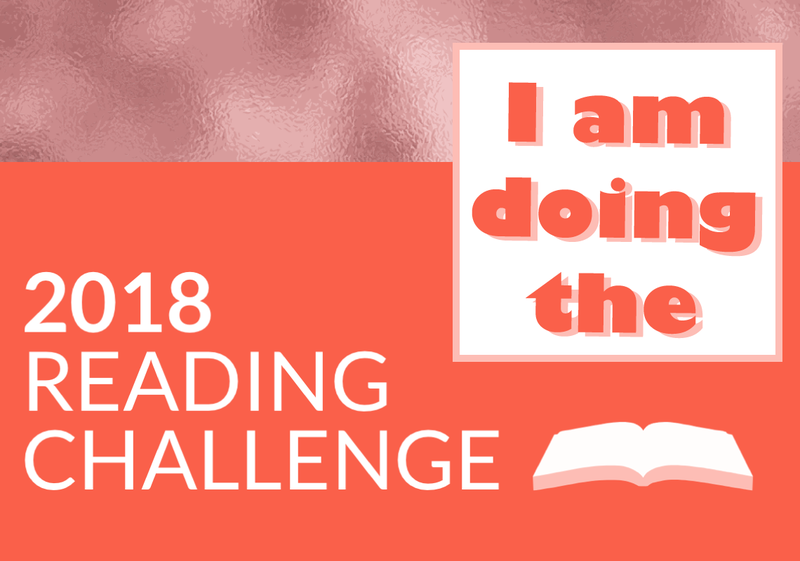 So, don’t forget to comment below if you are a participant on the challenge and share your Goodreads profile so I can see what books are you reading and which you recommend! Here’s my Goodreads profile if you want to friend me and follow my challenge up close! Previous Have you seen it? Project Runway All Stars Season 6 Episode 10 – Rock Your Face Off! Read! Read! Read! I’ve never done the Goodreads challenge but I’m totally caught up in The Great American Read sponsored by PBS.